Item Watch is a built-in tool that allows you to track any auction in our system. It is a great way to keep track of any item you are interested in or to compare multiple items. You can add an item to your watch list when logged in, by simply clicking “add to watch list” when viewing the item. An item can also be added to the watch list simply by clicking the love heart when you are on the product category pages. 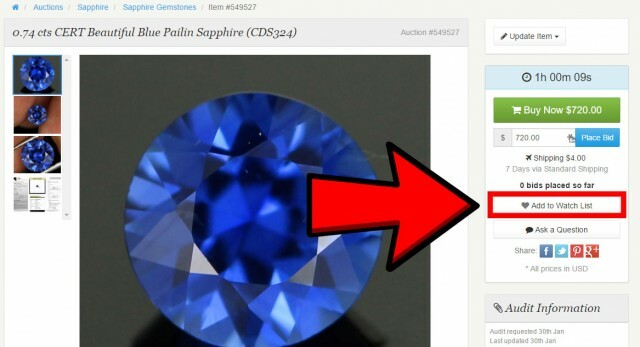 When an item on your watch list receives a new bid, you will be instantly alerted by email. You can manage your watch list by clicking on “Item Watch” in the top navigation when logged in. Want to disable Item Watch emails?